How Prevalent is Contract Cheating and to What Extent are Students Repeat Offenders? Contract cheating, or plagiarism via paid ghostwriting, is a significant academic ethical issue, especially as reliable methods for its prevention and detection in students’ assignments remain elusive. Contract cheating in academic assessment has been the subject of much recent debate and concern. Although some scandals have attracted substantial media attention, little is known about the likely prevalence of contract cheating by students for their university assignments. 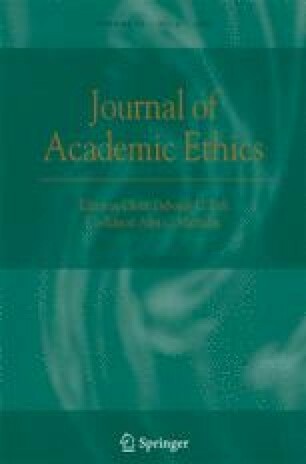 Although rates of contract cheating tend to be low, criminological theories suggest that people who employ ghostwriters for their assignments are likely to re-offend, and little is known about re-offence rates in this form of academic misconduct. We combined previously-collected datasets (N = 1378) and conducted additional, and previously-unreported, analyses on self-report measures of contract cheating prevalence. We found that few students (3.5%), on aggregate, ever engaged in contract cheating but this varied substantially among samples (from 0.3% to 7.9%). Of those who ever engaged in contract cheating, 62.5% did so more than once. The data also suggested that engagement in contract cheating is influenced by opportunity. These figures may help policy makers, and researchers who are creating contract cheating detection methods, to estimate base rates of contract cheating and the likelihood of re-offence. Bailey, J., Tomar, D., & Chu J. (2012). Paying for plagiarism. http://go.turnitin.com/webcast/paying-for-plagiarism Accessed 24 August 2016. Curtis, G. J., & Vardanega, L. (2016). Is plagiarism changing over time? A 10-year time-lag study with three points of measurement. Higher Education Research & Development, 35, 1167–1179. doi: 10.1080/07294360.2016.1161602. McCabe, D. L. (2005). Cheating among college and university students: A north American perspective. International Journal for Educational Integrity, 1(1). doi: 10.21913/IJEI.v1i1.14.